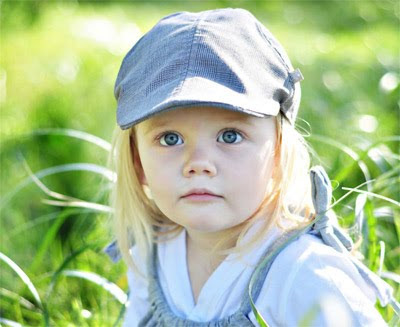 Introducing a new rising star in the Australian childrens clothing scene - the sweet and sassy Humble Bumble. I met Humble Bumble designer Jacqui Hollins at the Eumundi markets last month where I was stopped in my tracks. Her stall was a standout with racks of glorious gelati peach, dove grey, soft denim and pure white jersey clothes with lashings of style. Not only is Jacqui a talented designer, but also one of the loveliest people you will ever meet with a great sense of what Mums want. Her designs are modern, pretty and clever, with lovely touches like ruffled bums and pin tucks. No patterns or Fancy Nancy here - just sweet, not-so-basic basics. You can order Humble Bumble childrens clothes from the website and at the Eumundi Markets, Sunshine Coast. 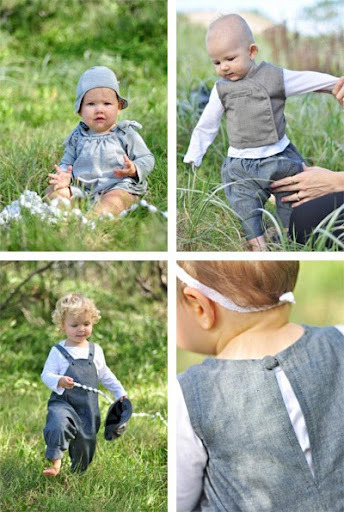 For more Australian-designed childrens clothes, check out Bondville Kids. Shop online for kids fashion from great stores in the Australian Online Kids and Baby Store Directory. Lovely find - the little boy's vest is gorgeous! @Deb - I love the vest too; you don't see too many vests around and it has that cute grampa thing going on.